Ever tried to paint on top of silicone? After a few hours, the paint will peel off. Annoying. 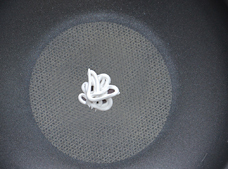 Silicone is a so-called low surface energy polymer, well known from flexible baking forms: A synthetic material that has an extremely low adhesion or “stickiness”. 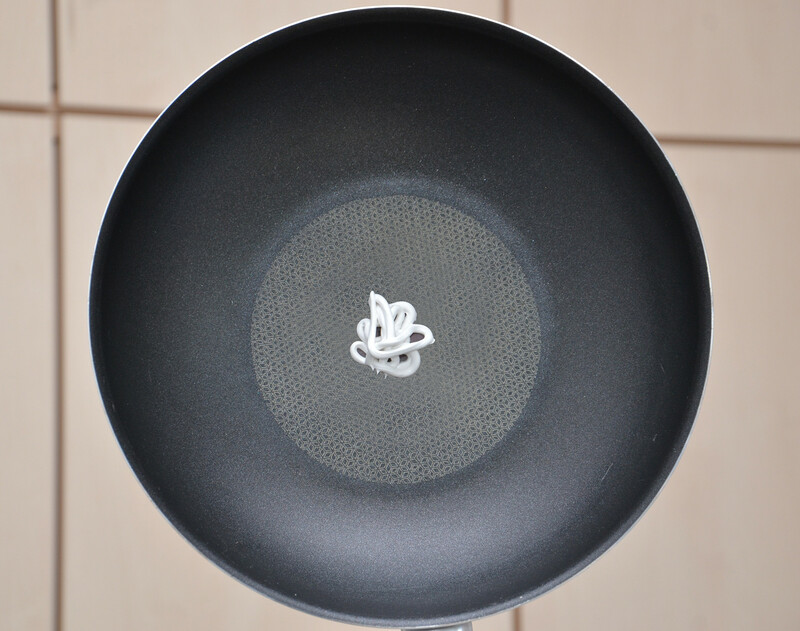 Teflon is similarly non-sticky and well known from frying pans. Researchers of Kiel University (Germany) have now developed the first technology which is capable of joining these two “unjoinable” materials. 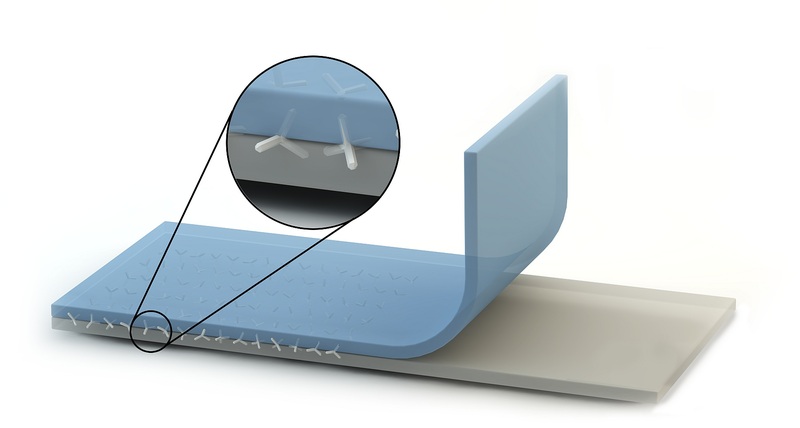 The technology applies passive nano-scaled crystal linkers as internal staples. The nano staples open up solutions to a large number of technical challenges, for example in medical engineering. The work carried out within the DFG-funded Collaborative Research Center 677 “Function by Switching” was published today (Friday, August 24th) in the scientific journal Advanced Materials. “If the nano staples make even extreme polymers like Teflon and silicone stick to each other, they can join all kinds of other plastic materials”, says Professor Rainer Adelung. Adelung is leading the functional nano materials group at the Institute of Materials Science in Kiel and lead the research project from the materials science side. The new technology of joining materials without chemical modifications can be used, according to Adelung, in a variety of everyday life and high tech applications. The technique is easy to use and does not need expensive equipment or material. 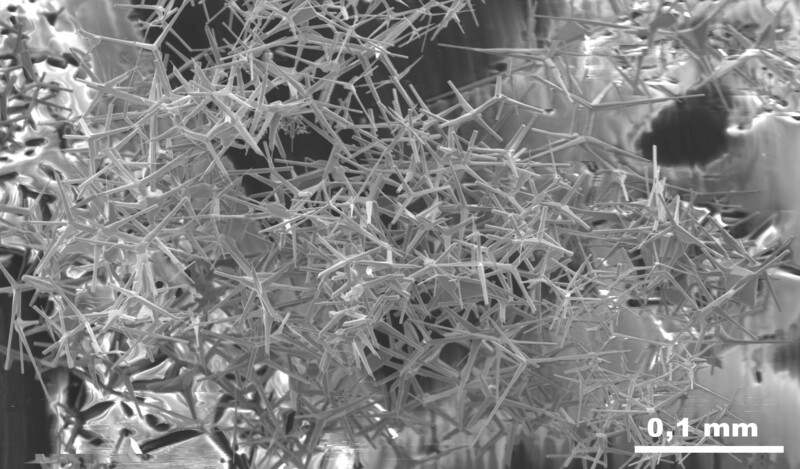 The linkers are micro and nano scaled crystals made of zinc oxide. They are shaped like tetrapods, where four legs protrude from the point of origin. Large-scale tetrapods are known for their ability to interlock and form strong bonds, for example in coastal protection. In high technology businesses such as medical engineering, there is a strong demand for innovative ways to make polymers, particularly silicone, stick to other materials, for example to further develop breathing masks, implants or sensors. Medical applications require materials that are absolutely non-harmful, i.e. biocompatible. Many joining methods involve chemical reactions, which may change the polymers’ properties and can cause injurious or even toxic effects on organisms. The tetrapod stapling, on the contrary, is a purely mechanical process. Therefore the Kiel team assumes it to be biocompatible. With the tetrapod staples, the scientists have achieved a stickiness – the so-called peel strength – of 200 Newtons per meter, which is similar to peeling sticky tape off glass. 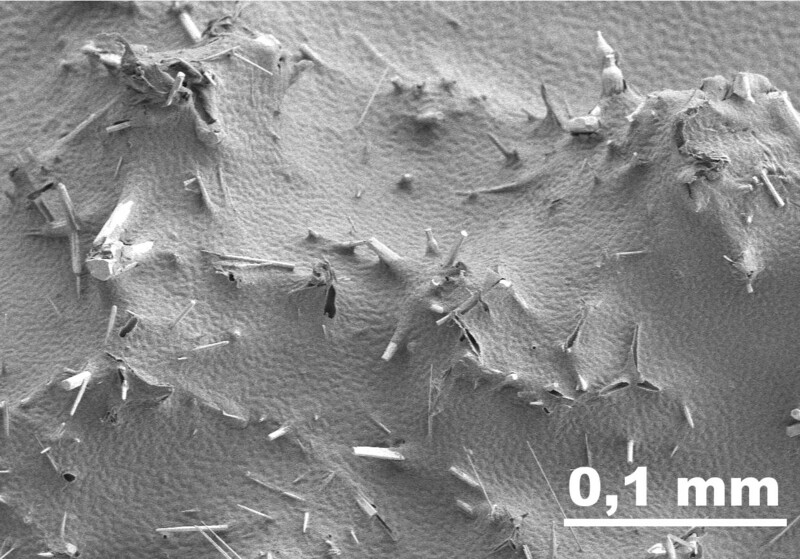 “The stickiness we have achieved with the nano tetrapods is remarkable, because as far as we could verify, no one has ever made silicone and Teflon stick to each other at all”, says co-author Lars Heepe, PhD student from the Zoological Institute of Kiel University, who precisely measured the adhesion and described what the stapled material looks like on the microscopic scale. “Measuring adhesion quantitatively is not as easy as it looks, precise experiments have to be carried out in order to prove the function of the linkers and rule out all errors“, says Professor Stanislav Gorb, leading the group Functional Morphology and Biomechanics. Three research groups from different backgrounds combined their expertise in material science, chemistry and biomechanics in this study within the Collaborative Research Center 677 “Function by Switching” (CRC 677). For Rainer Adelung and his colleagues, this study is not the end of the project: “We are feeding our results directly into both practical applications as well as further fundamental research.” The scientists’ local business partner nanoproofed GmbH is currently developing a product for paintings on top of silicone. In the framework of CRC 677, the staples are the basis for developing biomimetic adhesives, for which adhesion can be switched on and off by light of different colours. 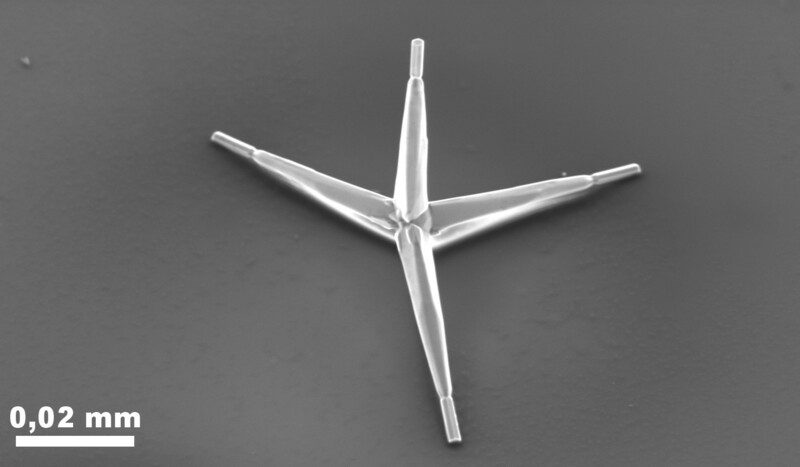 Caption: Every zinc oxide crystal is shaped like a tetrapod: four arms pointing away from a central point. Image from scanning electron microscope. Caption: The arms of the tetrapod crystal staples interlock with each other forming strong bonds. Image from scanning electron microscope. Caption: The tetrapod nano staples sink into the polymer, while some of the arms are sticking out. Image from scanning electron microscope. Caption: The two polymer layers are stapled from the inside using nano crystals made of zink oxide. Conceptional drawing. Caption: Teflon and Silicone: Kiel Scientists join these “unjoinable” synthetic materials.